Australian footballer and Bahraini refugee Hakeem al-Araibi is expected to return home to Australia within hours after Thailand’s Attorney-General officially dropped Bahrain’s extradition case last night. According to the ABC, Prime Minister Scott Morrison has confirmed that the 25-year-old Pascoe Vale defender, who had spent more than two months in detention in Bangkok awaiting an extradition hearing, was last night on his way to Bangkok Airport for a flight home. 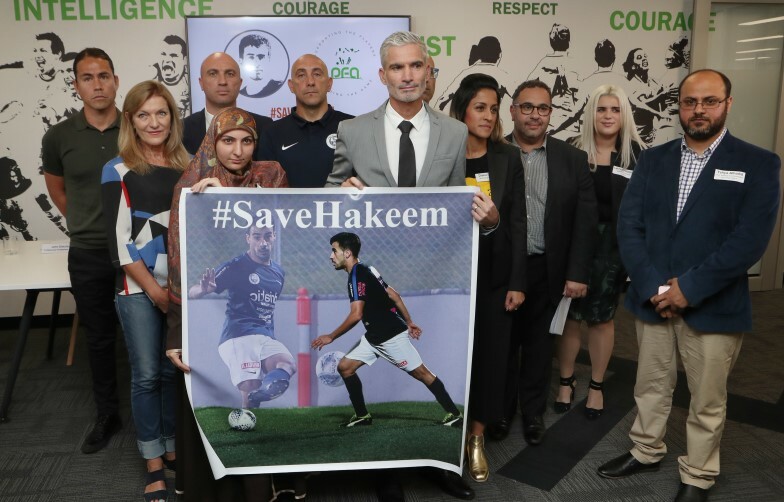 Former Socceroos captain and public face of the #FreeHakeem movement Craig Foster has thanked Thailand’s Prime Minister Prayut Chan-o-cha for upholding the international rule of law and plans to meet al-Araibi when he flies into Melbourne today. Labor faces the first parliamentary sitting day of the year with a compromised position on Kerryn Phelps’ medical transfer legislation, after its caucus agreed to three negotiating principles last night ahead of a lower house vote today. According to The Guardian, Labor agreed to broaden proposed ministerial discretion over medical transfers, reduce the Home Affairs minister’s 24-hour window to issue a decision, and ensure the procedures only apply to current detainees on Manus Island and Nauru. Labor leader Bill Shorten, who reportedly signalled plans with Labor’s caucus to clean up the last major backflip on encryption legislation, will have to renegotiate with the crossbench if it hopes to deliver the Coalition an historic loss in the House. Former Queensland assistant health minister Chris Davis has been awarded more than $1.4 million in damages after he was overlooked for a senior position at Metro North Hospital and Health Service three months after his spectacular falling out with then-QLD premier Campbell Newman. The Brisbane Times reports that Davis has argued in the Queensland Civil and Administrative Tribunal that he had been discriminated against when, despite being the only qualified geriatrician of two applicants, no recruitment procedure was established at the hospital and the role was ultimately withdrawn. Davis had earlier that year quit politics after being dumped from cabinet for speaking out against Newman’s doctor contracts and Crime and Misconduct Commission amendments. It’s for a parliamentary purpose which is to campaign against a piece of policy. 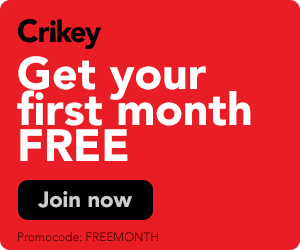 The chair of the franking credits inquiry explains why it’s fine to advertise the coat of arms on a private, SMSF co-funded website that may have breached privacy laws. Both chambers of federal parliament will sit for the first time this year. Politicians including Scott Morrison and Bill Shorten are expected to attend a church service beforehand. Day one of the two-day “Water Is Life” national gathering and protests at the Aboriginal Tent Embassy. Scott Morrison is expected to announce support for South East Queensland’s “Future SEQ” campaign. Brumbies player Tom Cusack and a number of health professionals will launch a “Concussions in Australian Sport” campaign at the Australian Institute of Sport. The first evidence will be taken for the aged care royal commission. Conservation Council SA will hold public meeting “Restoring Rigour to the Murray-Darling Basin Plan: What is needed to get the Plan back on track?”. Managing Editor of The Interpreter Daniel Flitton and research fellow in west Asia Lydia Khalil will speak as part of the Lowy Institute lecture series. The Grattan Institute host panel event “Summer blackouts: the new normal?” at the State Library with Paul Austin from the Australian Energy Market Operator and Suzanne Falvi from the Australian Energy Market Commission. Citizen Lab founder Professor Ron Deibert and Sydney Cybersecurity Network co-founder Dr Aim Sinpeng will present “Tracking digital espionage” for the Sydney Ideas seminar series. ABC Brisbane’s Rebecca Levingston will MC the Community Queensland event “Politics in the Pub: Masculinity”. A pre-inquest hearing will be held into the Dianne trawler incident, in which six men died off the coast of Queensland in October 2017. EU Commissioner for Agriculture and Rural Development Phil Hogan will speak at Bond University on “Colloquium: Taking Provenance Seriously”, a discussion on what Australian producers should be allowed to call products with European origins (e.g. feta, parmesan, stilton) and how this impacts on current Free Trade Agreement negotiations. Events will be held across the country as part of Ochre Ribbon Day 2019, a national awareness-raising campaign aimed at reducing family violence in Indigenous communities.